The European New Car Assessment Programme (EuroNCAP) is widely recognised as the final word on vehicle safety. But before you refuse to test drive a certain car because it doesn’t have a 5-star rating, make sure you understand exactly what that means. As a motorist on South Africa’s notoriously dangerous roads, it’s important to have peace of mind - knowing your car will protect you when you need it most. One of the ways to compare the safety features of the cars on your wishlist, is to look at their EuroNCAP safety ratings. But what does it all mean? 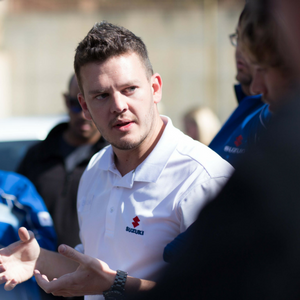 We’ve broken down the criteria of EuroNACP tests to shed some light on what a five-star safety rating really means, and how this applies to South African drivers. It’s good to note, however, that while EuroNCAP is the most well-known vehicle safety test, there are many similar tests conducted around the world. The one that might have the most relevance to South African drivers is the Australian NCAP (ANCAP) test, as some of our road conditions and driving distances are similar. Even so, as of 2018 the test parameters for EuroNCAP and ANCAP have become closely aligned, with both placing increased emphasis on active safety features such as automatic braking and steering assist features. The EuroNCAP safety ratings are divided into four distinct categories; Adult Occupant, Child Occupant, Pedestrian and Safety Assist. A vehicle can score top marks in two of these categories, but lower marks in the other two, and this will affect its overall safety rating. Vehicles that don’t receive an overall 5-Star rating are by no means unsafe, they just didn’t quite match up to some of the specific safety requirements set out in the EuroNCAP tests. EuroNCAP is a fantastic system for measuring, and encouraging, global safety standards, but if you’re going to base your buying decision purely on this criterion, it’s best to know exactly how the categories are tested. Offset-Deformable Barrier test – an offset is a frontal collision, but at a slight angle or offset. The reason for this test is that with most frontal collisions, drivers will try to swerve to avoid a crash, resulting in the vehicles hitting each other at an offset angle. This test is done at 64 km/h against a deformable barrier (representing another car), with a 40% overlap. Full Width Rigid Barrier test – this is the test you most often see on YouTube – where the vehicle is driven head on into a barrier. It is conducted at 50km/h.Side Mobile Barrier Test – this test uses a deformable barrier that’s mounted on a trolley and driven into the side of the car. It simulates a side-on impact. Side Pole test – this test simulates what happens when a vehicle loses control and hits an object, such as a street pole, from the side. It is conducted at 32 km/h and the pole hits the vehicle next to the driver to test how well the occupant is protected under such a circumstance. Whiplash test – in this case the vehicle seats are tested to see how well the seat and head restraints protect the occupant against whiplash. AEB City test – this tests the vehicle’s Autonomous Emergency Braking system. The vehicle is driven at a dummy car at 50km/h and the driver makes no attempt to stop. Full points are awarded if the system brakes the vehicle in time to avoid the collision entirely. Child Restraint System test – this test uses the restraint recommended by the manufacturer and places dummies representing children ranging in age from infants to ten years old. They are put through a variety of the tests listed above. Vehicle provisions – this is just a check to ensure the vehicle is equipped with i-Size ready seating positions. I-Size is the European standard for child restraints. This makes it easier for manufacturers of child / baby seats as all mounting points have to be the same, which means the same child seat will fit in different cars. CRS Installation Check – each vehicle is tested by installing a variety of child restraint systems from baby seats to booster cushions. This tests how easy & accessible the process is with each car. 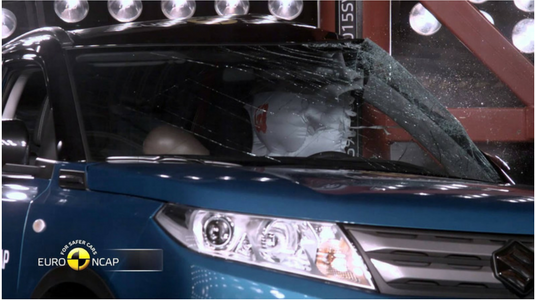 Head Impact test – Many elements from the shape of the hood and bumper determines how much damage will be done if the vehicle were to hit a pedestrian. This test is done at 40km/h and tests potential head injuries to pedestrians. Upper Leg Impact test– Also done at 40km/h, it tests how much damage is likely to be done to the upper leg area in a pedestrian accident. Lower Leg Impact test – same as above, but tests potential damage to lower leg area. AEB Pedestrian – similar to auto braking for other vehicles, many cars now have auto braking for pedestrians. Real-world scenarios are tested, such as a child running out between parked cars, and someone stepping in front of the vehicle. If the system performs well and significantly reduces speed / stops completely before impact, it scores well. Although safety assist won’t protect you during an accident, it helps avoid the accident in the first place. ESC – tests the vehicle’s Electronic Stability Control systems to see how well it does in stabilising the vehicle and keeping it from rolling should the driver lose control. Seat Belt Reminders – checks if vehicle has audible and visual seat belt reminders. Vehicles that score really well are the ones that audibly and visually alert the driver if someone (most likely a child) removes their seatbelt in the back. Speed Assistance – In this case they test whether the vehicle informs the driver of the current speed limit, warns the driver if they go above the speed limit, and whether the vehicle actively prevents from going over a speed limit that has been set by the driver. The accuracy of the system determines how well the vehicle scores. AEB Interurban – tests the vehicle’s ability to avoid driving into a slower / stationary vehicle in front of it. They evaluate the automatic brake function and the forward collision warning function in three different driving scenarios: driving towards a stationary vehicle (30-80 km/h), closing in at a slower vehicle in front (30-80km/h) and following a car in front which suddenly starts braking (50km/h, gentle and harsh braking). Vehicles that completely avoid crashing in all scenarios get the highest points. Lane Support – this tests the vehicle’s accuracy, and method, of warning and assisting the driver should they unintentionally veer out of their lane. Many accidents are caused by people falling asleep behind the wheel, so vehicles that register when the driver is not paying attention and drifting out of their lane are tested for accuracy. When you consider all of the above it’s clear that EuroNCAP is crucial to keep encouraging manufacturers to improve vehicle safety. At the same time (and in the real world), many people can’t afford vehicles that are equipped with all the intelligent crash avoidance systems that are needed to get a 5 star rating. For the average driver on a budget, a car with 3 star rating and above is sufficient for you to be certain that you and your family are out of danger.. This article on the iwyze insurance website gives insight into the variety of cars that have good EuroNCAP ratings, and it’s clear that not only the most expensive cars come out tops. On this list, for example, the Kia Rio and the Mercedes-Benz stand side-by-side each with a 5-star rating. The trick, as we’ve mentioned, is to dig into the details of why each vehicle received a specific rating. The car you’re looking to buy could have scored high for passenger safety, but low for active safety systems (which tend only to be available in higher-end vehicles). From this perspective, it’s easy to cut through the noise and find affordable cars with the best safety ratings in the categories that matter to you. The Jimny scored lower in the Safety Assist category, because it’s not equipped with the entire smorgasbord of active safety features as it’s positioned as an extremely capable four-by-four that is built on a ladder frame chassis. When you look at the safety categories that really count in this segment as mentioned above, the Jimny scores brilliantly. It’s therefore vital to understand exactly what you’re looking at when it comes to safety ratings. When you delve into the details of the Jimny’s three-star rating, you find that it’s scores high where it counts, and is a top performer in its segment. So, while we all want to drive a 5 star EuroNCAP rated car, it might not be possible just yet. Depending on what your vehicle will be used for, and your budget, don’t be blinded by the EuroNCAP stars. Rather find out where cars within your budget scored well (or not), and base your decision on which safety aspects are nice to have and which you’re not willing to compromise (like ABS and airbags). To make an accurate comparison, make sure that you’re looking at models in a similar class and price range. We recommend, when you go through the list of cars you’re considering feature by feature, that you look for the model that offers you the best safety features within your price range. Read our post, How your car keeps you safe, to find out which safety features to look out for, and what these features do to protect you and your loved ones. For more expert tips and safety advice, subscribe to the Suzuki blog. You’ll receive all of our latest content straight to your inbox. This guide will help you troubleshoot some common car problems, so that you know whether or not you need to contact a mechanic. It also covers a variety of driver safety tips to keep you and your loved ones safe on the road.